Much has been written about the legacy of former First Lady Barbara Bush, who passed away on Tuesday, April 17, at age 92. Commentators have noted her unusual position as a wife of one president and the mother of another; many tributes have also mentioned her extensive commitment to literacy promotion. 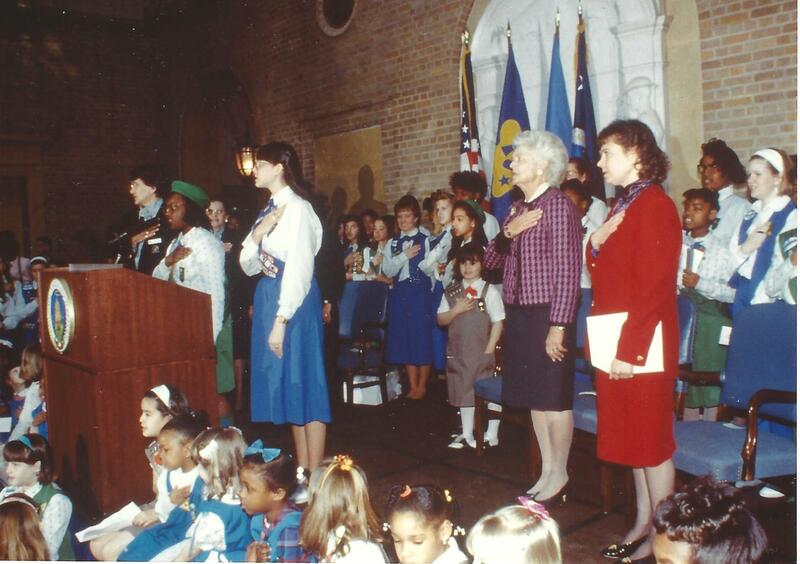 While in the White House, first ladies are also invited to be honorary president of the Girl Scouts of the USA. 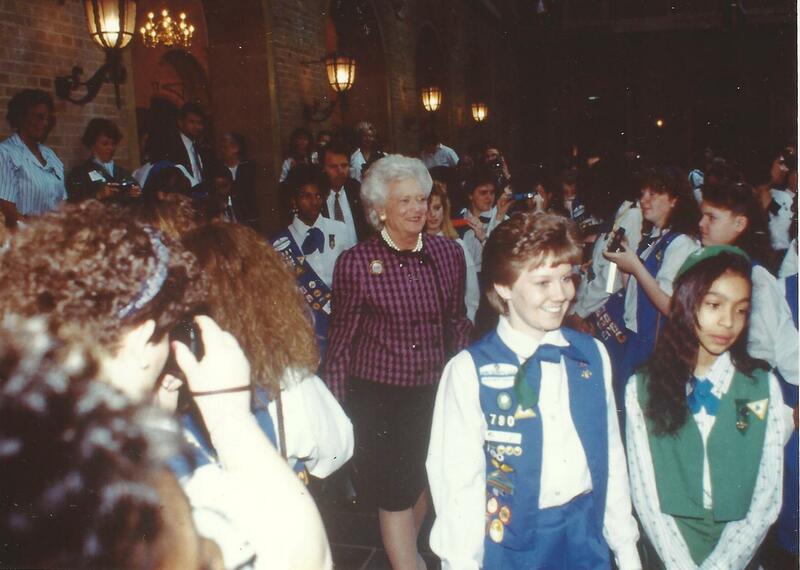 Mrs. Bush accepted eagerly and was active in many Girl Scout events. 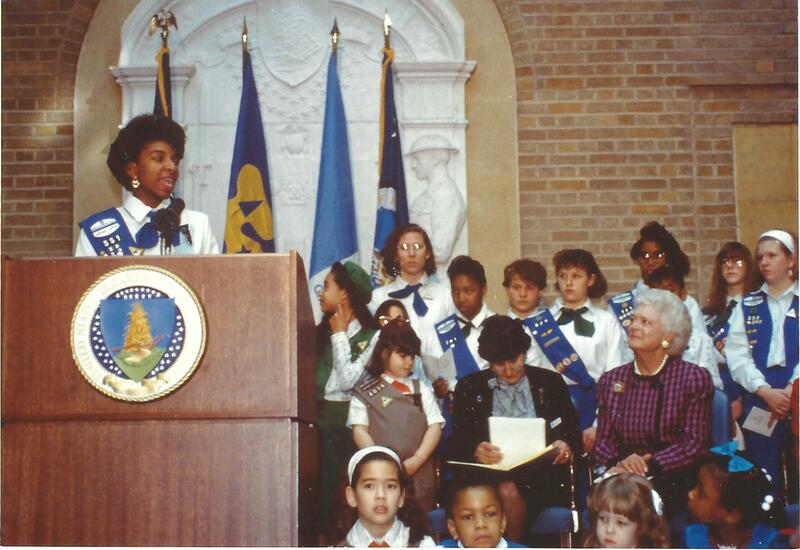 She even attended the 1990 National Council Session in Miami to draw attention to the Girl Scout Right to Read program. 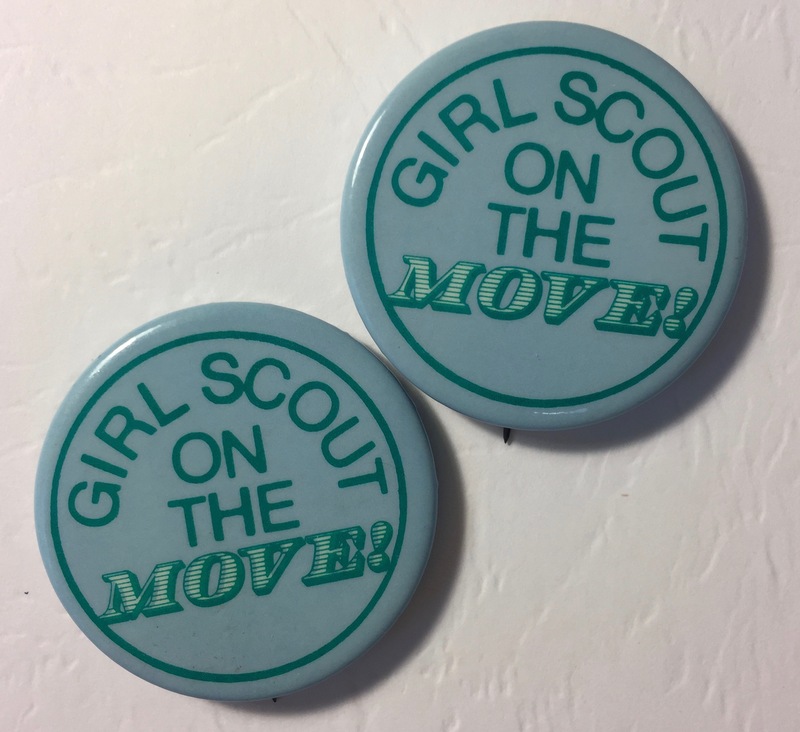 As her neighbor, not just in the White House but also at the Vice Presidential Residence, the Girl Scout Council of the Nation’s Capital had many opportunities to see and interact with her. Leader Magazine (Summer 1992): 29. But our council archives have several behind-the-scenes photos from that day. It is delightful to see Mrs. Bush and her friendly, unhurried interaction with a group of very nervous Girl Scouts. The photograph below is my favorite. I went back to the original to see if there was any additional information, such as the girl’s name and what she is giving to Mrs. Bush. Could that be a sparkly yellow pom-pom SWAP? She seems fascinated by it! We are fortunate that this busy first lady always made time for the Girl Scouts. Tomorrow, January 20, 2018, Montgomery County Parks will host an open house at Rockwood Manor Park in Potomac, Maryland, from 11 am to 3 pm. Open Houses are offered several times a year for brides and other people considering the venue for an event. The Manor House. Photo by Mark Bowles. Rockwood was a national Girl Scout camp from 1938 to 1978. The neighborhood was largely rural in the camp’s early years, but as new houses and neighborhoods expanded, Rockwood staff reached out to make new friends. One open house was held in 1950. Washington Post, March 17, 1950. Visitors in 1950 might have found a troop preparing meals, a family camping together, or perhaps Brownies splashing in the stream. While some neighbors were not pleased to discover latrines near their homes (and they are long gone! ), many groups near the camp considered it an asset. Boy Scouts, church groups, and schools all used the facilities for meetings and occasional retreats. One of the most successful Rockwood-community partnerships began in 1959, when a group of five women from the town of Potomac asked if they could use Rockwood’s commercial kitchen to mash potatoes for the 1,000 guests expected to attend their church’s yearly community dinner. The meetings of the “Potato Mashers Guild” became so popular that many of the ladies offered to be on “stand-by” to volunteer as needed at the camp. The ladies hosted birthday parties for Guild members at Rockwood and even picnicked one summer at Rockwood director Ida May Born’s beach house. Another strong relationship developed with Potomac Elementary School. Students would come to Rockwood for science lessons and nature walks, while Rockwood’s kitchen staff would pitch in at the school cafeteria if needed. After weeks of sub-freezing temperatures here in Washington, DC, tomorrow is forecast to reach nearly 60º. Seems like an ideal day to visit Rockwood, located at 11001 MacArthur Blvd, Potomac, Maryland 20854. Things have been quiet at the Girl Scout History Project lately, other than the sound of non-stop coughing. The flu bug pitched its icky green tent at our world headquarters last week and has steadfastly refused to take a hike. But even if I don’t feel well enough to write a long post at the moment, at least I have qualified for a new patch! Not exactly what I’d call a “fun” patch, but there you go. Until I’m back at my computer full time, please revisit this article from 2014 about the Girl Scouts and the influenza epidemic of 1918. Hopefully, it will be another 100 years before another epidemic. Realignment and the Russians, Really? My calendar has two major anniversaries marked for October 2017. One is the 10th anniversary of Girl Scout’s realignment program, which consolidated 312 councils into 112 “high capacity” councils. Realignment deserves its own post, but the basic idea is that GSUSA decided that large councils would be more efficient than smaller ones. The other anniversary is the centennial of the Russian Revolution that brought the Communist Party to power. The new government dramatically redrew the map of their new country, dividing some territories and lumping others together. The other common thread is that they are both examples of externally imposed new state formation. NO, wait, come back!!! Let me rephrase. They are the political equivalent of a shotgun marriage. These events threw people together whether they wanted to or not. Whether councils or countries, they faced similar issues: Where do we draw our borders? What do we call ourselves? What does our new flag/logo/patch look like? What if we don’t like our new neighbors? Do we have to pay their debts? What do we do with people who don’t want to merge? Suddenly the comparison doesn’t seem quite so crazy, does it? Academic research is about making such unexpected connections. If the examples come from a largely unknown source, that’s even better. Across the United States, Girl Scout councils are sitting on piles of largely unknown sources. We need to get the word out that researchers should come see what we have. We need to leverage our historical assets for academic research. Doing that requires matching theories with data, a process that often requires travel and field research. I’m very fortunate because I’ve found a way to cover both bases: I can use Girl Scout data in my academic research. I’m not a professional Girl Scout historian, just a very busy volunteer. In my day job, I am a political scientist who specializes in secessionist movements and new state formation. Most of my work deals with the former communist world, such as the collapse of the USSR, Yugoslavia, and Czechoslovakia. Those countries experienced the opposite of realignment; they were taken apart instead of thrown together; think divorce instead of marriage. I’m (supposedly) trained to see possible patterns and then find evidence to prove or disprove the pattern. I know the political scientist/Girl Scout historian combination is about as rare as a genuine Golden Eagle of Merit–or perhaps a Chartreuse Buzzard. But working in this direction doesn’t require a PhD. Instead, it needs a new mindset. It means looking beyond the uniforms and badges to see what girls and women were doing in your community. You—we—can provide local examples of national issues. It means looking beyond the uniforms and badges to document what girls and women were doing in your community. You can provide local examples of national issues that researchers can plug into their models and theories. Letters and fund-raising campaigns can become examples of philanthropy, women’s empowerment, or marketing. Camp and troop policies reflect social trends. We recently found meeting minutes that debate whether or not to integrate resident camps. I knew the date of integration; I didn’t know that some committee members tried to reverse the decision the following year. Researchers need examples of local history (GSCNC Archives). 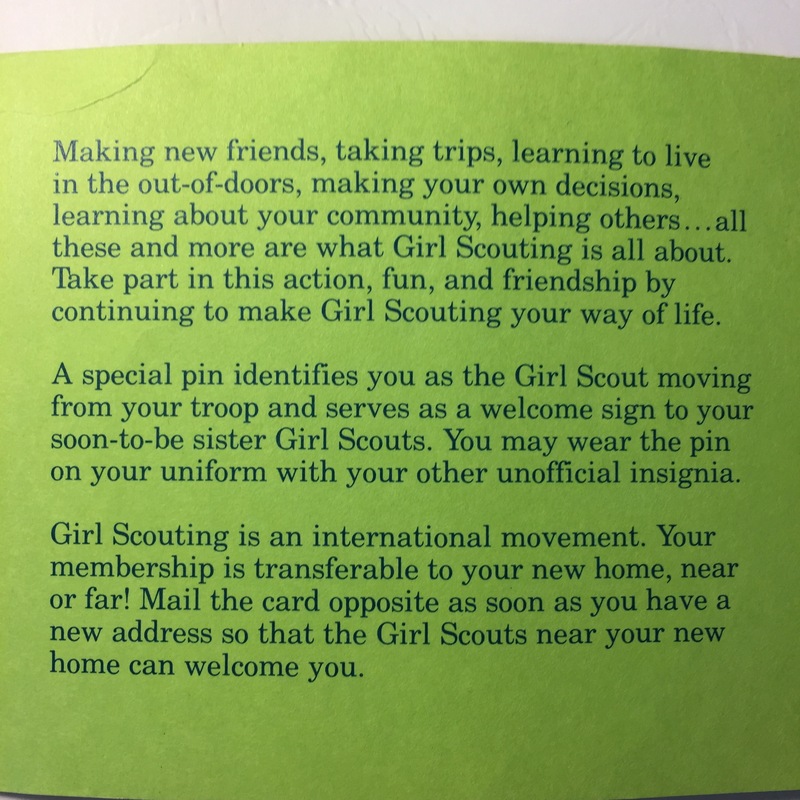 Troop activities can reveal trends in girls’ development and interests. Citizenship programs demonstrate efforts to prepare future voters when the voting age was lowered to 18. Popular history accounts would be enriched by knowing how the American Bicentennial was celebrated in your community. Girl Scouts helped track the spread of this fungus (USDA). In the 1920s campers in Washington were examined before and after weeks in the woods to provide scientific “evidence” of the health benefits of the out of doors. Similarly, girls attending Camp May Flather were tasked with combing the forest for signs of white pine blister rust, a dangerous fungus. We don’t have the data, but we know the agency that conducted the studies and can point researchers in that direction. Such quirky stories are hiding in the newspaper clippings and the troop scrapbooks in our collections. How can we make them available to researchers anxiously searching for new sources to study? I’ve had the pleasure of hosting several graduate students in our archives. They were investigating topics such as the national Girl Scout Little House, first ladies, family biographies, representation of minorities, and more. They have all gone away with valuable primary data sources, not to mention a patch and the occasional box of cookies! Who were the first Girl Scout Ambassadors? If you said 11th and 12th graders, you’d be wrong. While GSUSA did introduce the Ambassador program level in 2008, the name “Ambassador” was first used in 1975. To be an Ambassador, a girl must be helped to recognize that one of the most important things in the mission of Scouting is to be aware of the different customs and values of different groups in her community. 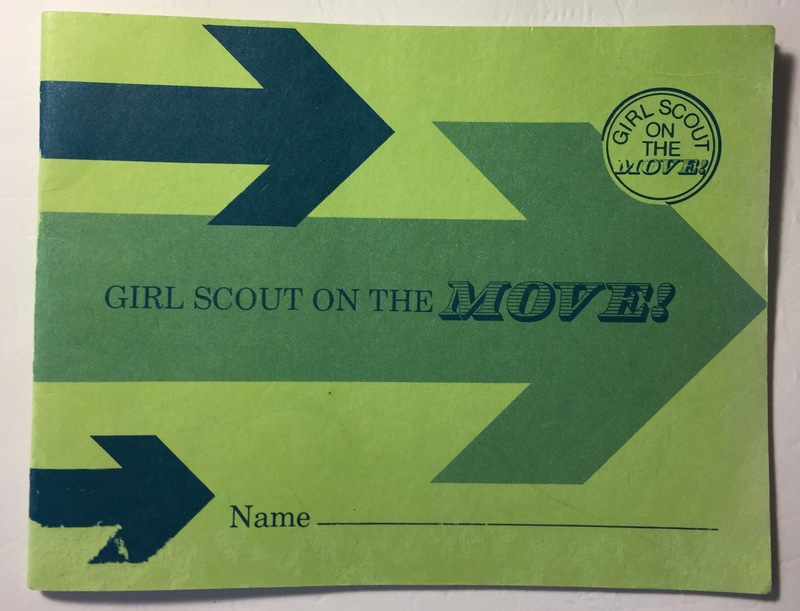 That was one of the ideas Juliette Gordon Low had when she started the Girl Scout movement back in 1912. She hoped then, and we hope now, that Scouting will make girls more sensitive to differences in the way of life in our communities and our nation. 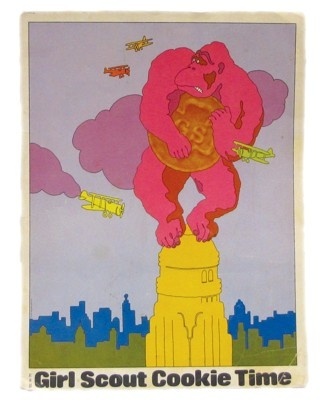 —Leader Magazine (October 1975): 18. The patch requirements had two parts. First, the arriving girl would share something about her former community, such as a popular tradition or celebration, with her new troop. Second, the girls welcoming her would then share a similar tradition or event celebrated in her new community. Together, they would prepare a report on these differences and send it to the former troop. Members of the new troop would then be eligible for the Ambassador Aide patch. Leaders could request an Ambassador Program application form from their council. Girls entered their current and new address on the form and send it to GSUSA. New York would forward it to the appropriate council, which would invite the Ambassador girl to a new troop. On what day is Christmas celebrated? On what or days is Chanukah celebrated? Does the celebration begin some time in December, as it might in families with a Dutch or Belgian or Scandinavian background? Does it continue until January 6th, as it does in many families whose ancestors came from Italy or Mexico? And on what day to the children exchange gifts? When is the Chinese New Year? Where do all the different customs connected with the holidays (lighted trees, mistletoe, reindeer, lighted candles, fireworks, dragons, and tribal dance) come from? Do all families everywhere observe the same customs? Why do some of them observe them differently? What about different kinds of special foods prepared during the holidays? The yellow ribbon patches were intended for the back of the badge sash and cost one dime each. 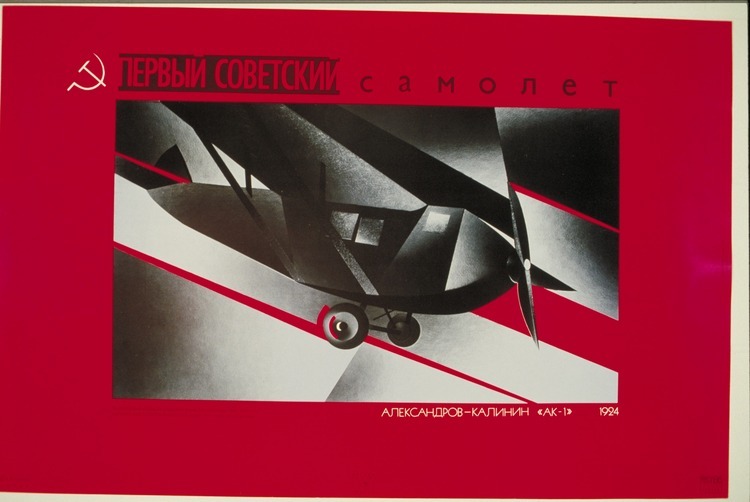 This first version of the Ambassador program lasted until 1979. A similar program, with a booklet and button pinback, was offered in 1985-1986. I never met Juliette Gordon Low, of course, but last week I came pretty close. I had the privilege of spending part of the day with Frances Hesselbein at her office in Manhattan. Few individuals have had as great an impact on the Girl Scout movement as this gracious lady. Mrs. Hesselbein was the GSUSA National Executive Director from 1976 to 1990. Her first day on the job, in fact, was July 4, 1976. Today she is the director of the Frances Hesselbein Leadership Institute. I had asked to interview her about the decision to sell Rockwood National Center in 1978. But we soon moved on to the many highlights and happier memories from her time at GSUSA. Mrs. H (“Frances” just seems too informal!) had just returned from visiting a Halston retrospective exhibition at the Nassau County (NY) Museum of Art. The famous fashion designer had created a stylish collection of adult uniforms in 1978, and Mrs. H vividly recalled participating in that process. She also let me borrow the gorgeous exhibit catalog. I had submitted my resume, Rockwood book outline and synopsis, and several other documents in advance, and Mrs. H immediately noted that we both had experience as camp staff, making us both survivors of that trial by fire. She shared with me several staff photos from her time directing Camp Blue Knob in western Pennsylvania and pointed out the unusual racial diversity of the group for the early 1950s. She also had a photo from the summer 2016 camp out on the White House Lawn. While Mrs. H never camped on the White House lawn — that I know of — she has been a frequent visitor. But few visits can top one in 1998, when President Bill Clinton awarded her the Presidential Medal of Freedom, the country’s highest civilian honor. (Juliette Gordon Low was posthumously awarded the medal in 2012.) The beautiful medal is prominently displayed in her office. While her Girl Scout camp was integrated in the early 1950s, society lagged behind. Mrs. Hesselbein recalled that she could not eat with her African-American staff members at any restaurant in any nearby town. With that camp experience in mind, one of her priorities as head of GSUSA was to reach out to all girls, especially girls in historically underserved communities. When she began at GSUSA, the organization was 95% white; fourteen years later, minority ranks had tripled. 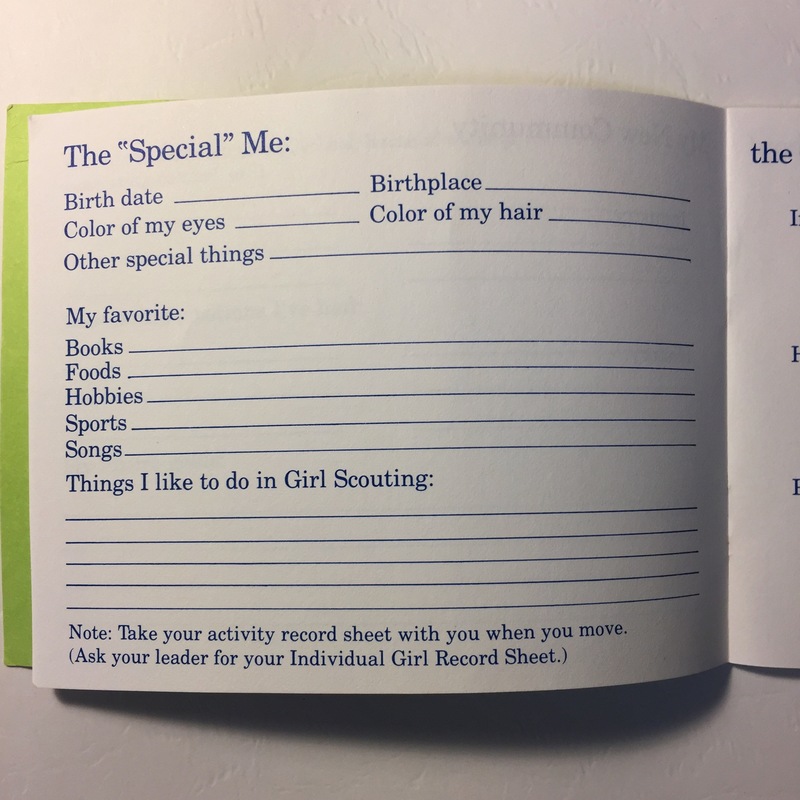 As part of that effort, she sought to have a greater range of images in Girl Scout handbooks and other publications. She wanted any girl, of any background, to be able to find herself in a handbook. New handbooks depicted girls of all skin tones, all socioeconomic backgrounds, all physical abilities — in other words, all girls. Finally, as our conversation drew to a close, I brought up another topic: age. Mrs. Hesselbein is 101 — exactly twice my age. Of course, many people remark on her extraordinary vigor. But my casual research in recent months has led me to a realization. We Girl Scouts seem to be an exceptionally long-lived group of women. That holds true for volunteers and long-time staff. 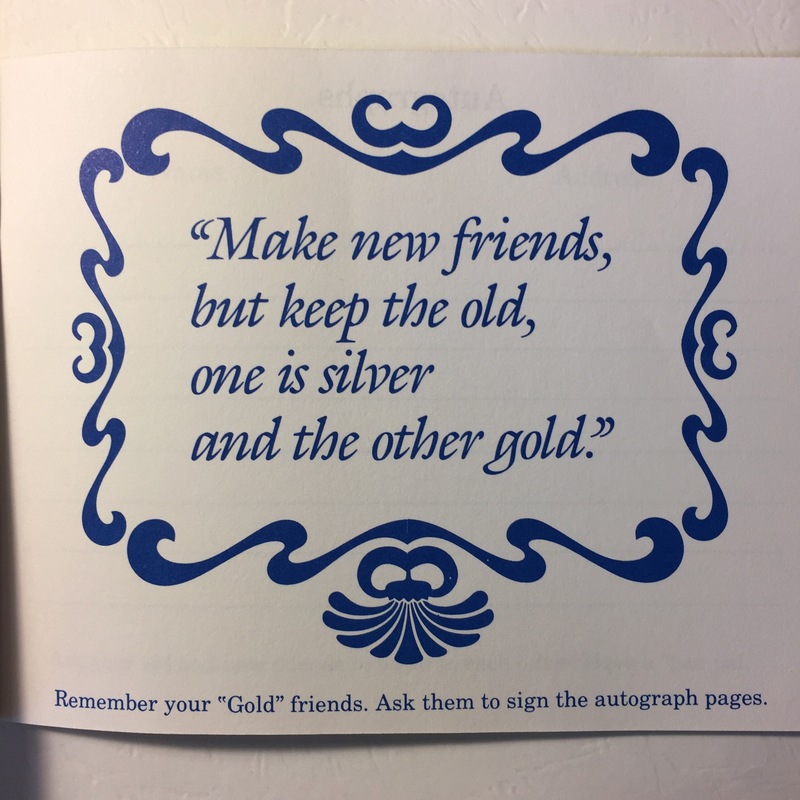 I just recently learned of a former Rockwood director who has passed away in February — and wanted it known in her obituary that she lived to 99 years and seven months. At Nation’s Capital, we lost two past council presidents in recent years — Marguerite Cyr (101) and Bobby Lerch (104). And the more I investigate, the more very senior Girl Scouts I find. Camping expert Kit Hammett (96); national board member Lillian Gilbreth (93). National presidents Henrietta Bates Brooke (89) and Grace MacNeil (92). But the record, so far, must be Executive Director Dorothy C. Stratton, who passed away at age 107! I would love to see some data on the percentage of our membership over age 90 compared with the general population. That could be quite a retention incentive. I asked Mrs. Hesselbein what she thought might be behind this possible trend. We came up with the same answer immediately — the girls. The girls keep us young. Postscript: No selfies from my visit, some memories are too precious to share. The White House Easter Egg Roll has been a Washington, DC, tradition since 1878. While the event skipped a few years, local Girl Scouts have been an Egg Roll fixture since the 1920s. Local troops remember meeting First Lady Grace Coolidge’s pet raccoon, Rebecca, in 1927. Also in 1928, Mrs. Coolidge noticed the rose troop crest on the girls’ uniform and gave each girl a rose from the Rose Garden. The Girl Scouts performed a May Pole dance during the 1929 Easter Egg Roll, much to the delight of First Lady Lou Henry Hoover. The dancing Girl Scouts must have been a hit. They performed a square dance during the rainy 1931 event. Hoe Down on the South Lawn! (GSCNC archives). In recent decades, Girl Scouts have returned to their child-wrangling role. Has your troop ever worked at the Easter Egg Roll? We need some newer photos!